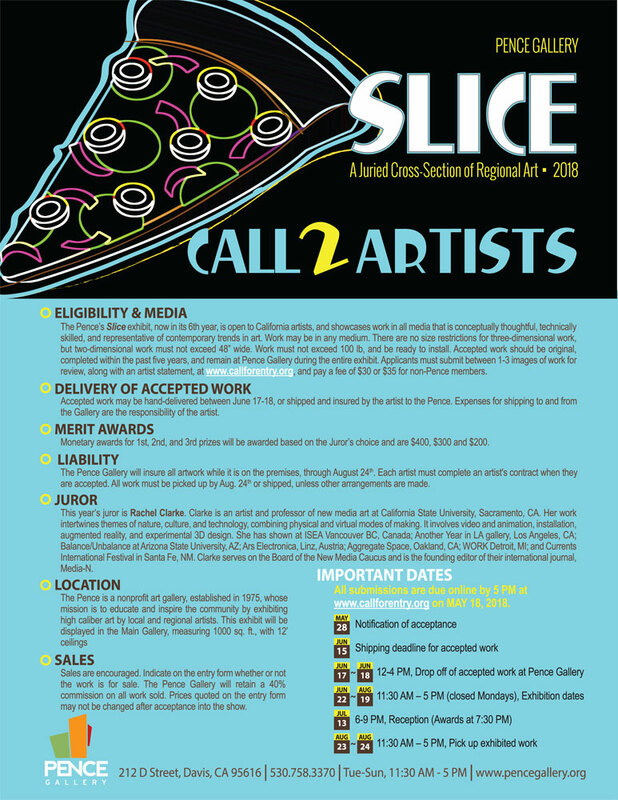 Slice is an open call to artists that is juried by CSUS professor of Art Rachel Clarke, and includes work in all media that is conceptually thoughtful, technically skilled, and representative of contemporary trends in art. No size restrictions for 3D work. 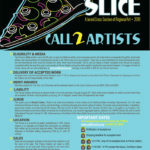 Prizes are $400, $300, and $200, and are at the Juror’s discretion. The work is exhibited at the Pence Gallery in Davis. The exhibit is up from June 22-Aug. 19, 2018; reception: July 13, 6-9 PM.